In 2012, Spark was seeking partners to manage the design, build and lease back of a $60 million investment in NZ’s infrastructure and digital future. 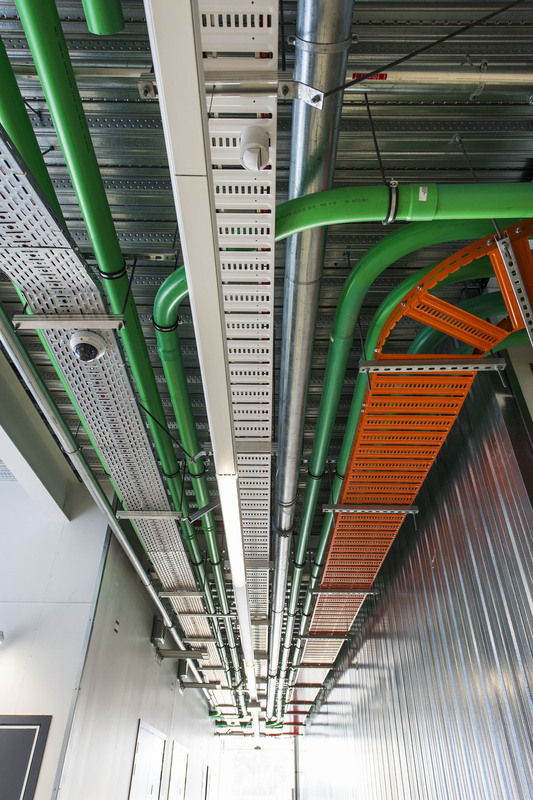 Alongside two other industry experts, Hawkins and AECOM, Urban Partners was selected and led the investigation into data centre facilities. Before we could start our pursuit, our first point of reference was to determine Spark’s business requirements. We discovered it was absolutely essential the site had a flexible, modular design, which could be subdivided into smaller parts to allow for at least four 100 rack data halls. Recognising that the space would be used as a data centre, we had to ensure electricity supply could be scalable to meet demand. Spark also insisted that the elected site must have the highest national standard for energy efficiency, environmental sustainability and disaster resilience. With this vital information, Urban Partners was in a good position to start securing conditional contracts on suitable sites. This was followed by an intensive period of interactive briefing with the three businesses to achieve a concept design and cost estimate. During these early stages of the project, Urban Partners demonstrated considerable flexibility in working through various options. Early the following year, a change in approach saw Urban Partners oversee the design. This required a high level of collaboration with AECOM and Hawkins to establish the fundamental design features. It required a revolutionary safeguard design that had advanced fire detection, power and cooling for unprecedented resilience and operability, and of course it needed to be extremely secure. In August 2013, Urban Partners concluded a Development Agreement with Spark. A new data centre in Takinini, Auckland was in progress. To meet Spark’s completion date, a fast track approach was necessary. We unconditionally committed to manage, design, construct and fund the project. Due to our financial strengths, we were in a position to enter a construction contract without the need of pre-approved banking finance. The settlement of sale to Spark was achieved on schedule in early October 2014, and the new centre was opened by Prime Minister John Key. Urban Partners derived a solution that utilised their abilities in funding, development and risk management to provide Spark with a very efficient cost structure and a turn key solution for a complex facility.